After a brief welcome by Marilyn Bardet, Board President, our executive director, Elena Karoulina, explained that the Benicia Community Gardens and Orchard are now part of Sustainable Solano. In the past few years Elena and the Board have added many new initiatives, including 7 food forests in Benicia and consumer supported agriculture programs to supply residents with sustainably sourced vegetables, meat, fish, and other food products. The food forests have saved an impressive amount of water. These accomplishments caught the attention of Solano County officials, who asked our group to bring some of these programs to other parts of Solano County. So the name change reflects the new and broader mission of bringing sustainable food (in many forms) to Solano County. The group then heard from the coordinators of Avant Garden, Swenson Garden and the Community Orchard. Avant Garden is almost full, but many of the beds at Swenson are empty. 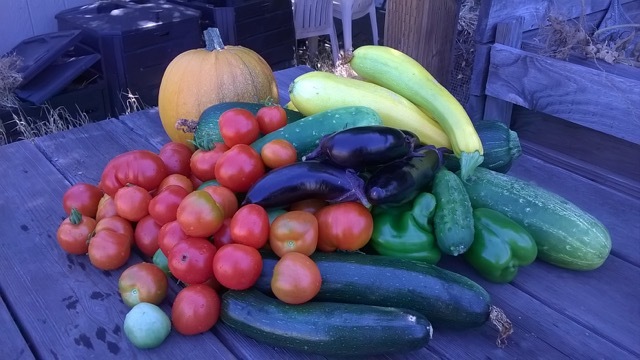 The Share plot at Avant Garden provided over 700 pounds, an impressive amount of food! All 3 coordinators requested increased participation in work days. As discussed last year, people who did not provide the minimum hours last year will be charged extra this year. Annual agreements were signed and the annual fees were collected. Agreements and fees for 2017 are due by March 21. Contact your garden coordinator if you missed the Feb 18 meeting!